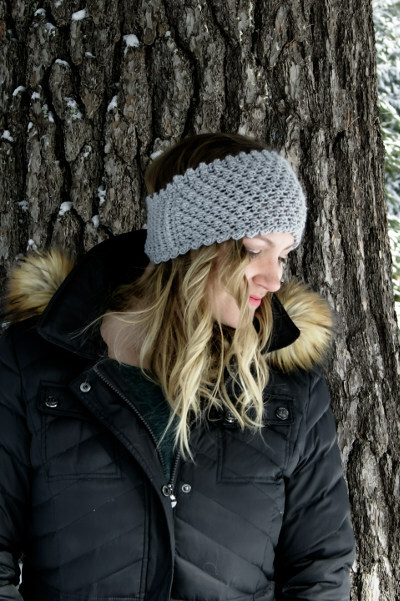 This earwarmer project uses varying heights of crochet stitches to create narrower shaping that can be worn in the front or the back of the head. 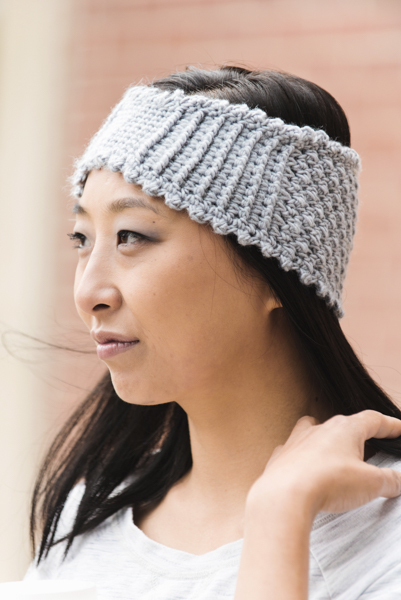 Keep your ears warm on your brisk morning coffee run while still looking stylish. Quick to work up, you can make it and wear it the same day. Size: approx. 5.25” / [13.65 cm] at widest point x 18.5” / [47 cm] around to fit head circumference between 20-23” around. Skip one st, dc in next st, working around previously made dc, dc in skipped st. Each X-st uses 2 sts and creates 2 sts. YO hook, insert around post of indicated st from front to back to front, YO, pull up a lp (3 lps on hook), YO, pull through all 3 lps. YO hook, insert around post of indicated st from back to front to back, YO, pull up a lp (3 lps on hook), YO, pull through all 3 lps. This headband is worked off a stacked rows foundation. Once the rows for the foundation are completed and joined into a ring, the rounds for the main part of the earwarmer are worked off one side of those rows. When working into sides of rows for Rnd 1 of the earwarmer, the rows are referred to as sts for clarity. All rounds are worked in the same direction without turning. 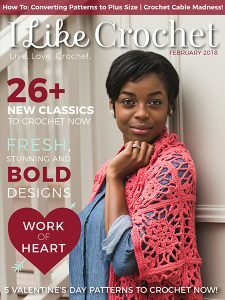 The cross stitch (x-st) pattern is worked staggered. For example, the next round of cross stitches is worked with each X-st over the space between X-sts on the row below. Even numbered rounds cross stitch section begins and ends with a solitary hdc. The length of the foundation rows will be much longer than the finished length around of the project. The ribbing will shrink the length but allows for the band to stretch to fit the head. Row 1: Ch 2, sc in 2nd ch from hook. Row 2: Ch 2, turn, 2 sc in first st.
Row 3: Ch 1, turn, sc in first st. Rows 4-67: Rep Rows 2-3. Row 68: Ch 2, turn, 2 sc in first st. Without twisting strip of rows join with sl st to bottom of Row 1, forming ring. Rnds 4-9: Rep Rnds 2-3.